With its 9.2-meter (362-inch) mirror, the HET is one of the world’s largest optical telescopes. It’s optimized for spectroscopy, the decoding of light from stars and galaxies to study their properties. This makes it ideal for searching for planets around other stars, and studying distant galaxies, exploding stars, black holes, and more. The HET, dedicated in 1997, is a joint project of The University of Texas at Austin, The Pennsylvania State University, Ludwig-Maximilians-Universität München, and Georg-August-Universität Göttingen. Constructed 1966-68, the Smith Telescope has a 2.7-meter (107-inch) mirror, which was the third largest in the world when built. The telecope is used every clear night of the year. Constructed 1933-39, the Struve Telescope was the first major telescope to be built at McDonald Observatory. Its 2.1-meter (82-inch) mirror was the second largest in the world at the time. The telescope is still in use today. 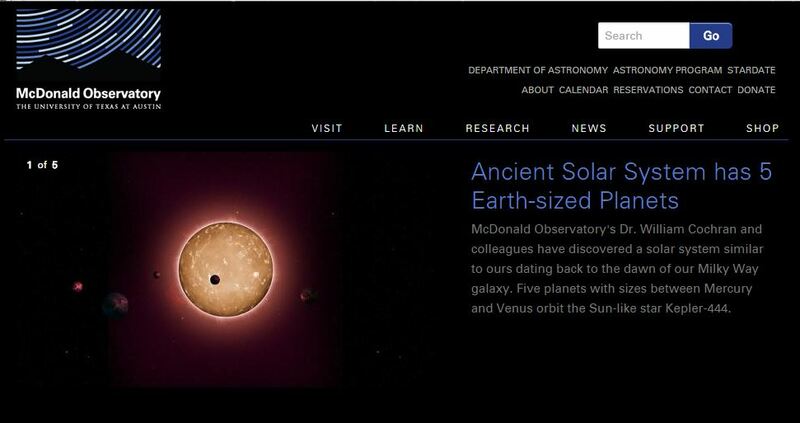 McDonald also operates a 0.8-meter (30-inch) telescope, and the 0.8-meter (30-inch) Laser Ranging Telescope that measures the distance between Earth and the Moon and tracks the drift of Earth’s continents. 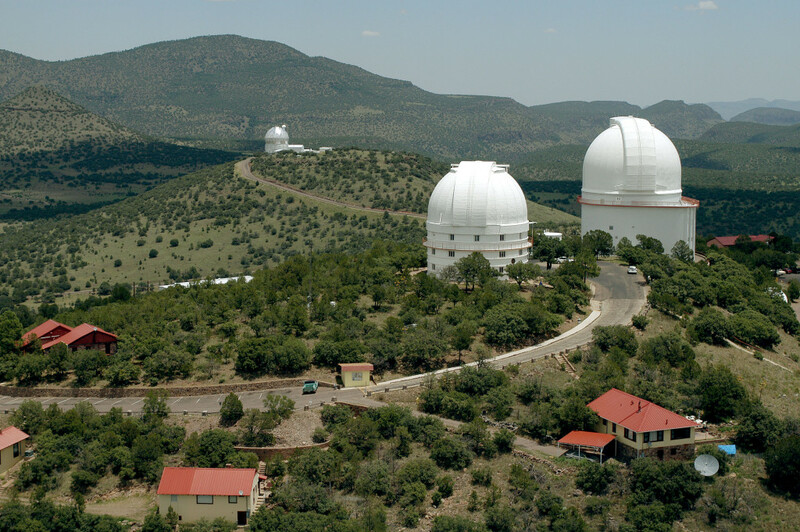 McDonald Observatory operates a multi-faceted international public outreach program. At the Observatory Visitors Center, outreach events include star parties, public tours, K-12 teacher and student actvities, and more. McDonald also produces the StarDate radio program, StarDate magazine, the StarDate Online website, and special programs for hundreds of elementary and secondary teachers across the United States.